Environment ceased to be a sideshow recently, after the country’s apex curriculum setter and the two dominant education boards decided to allocate scores to the subject in the crucial school-leaving examinations. As per the current guidelines, the assessment will not be based on the conventional ‘study-text-books-write-examination’ mode. Grades will depend on how active the examinee has been ‘on the ground’. 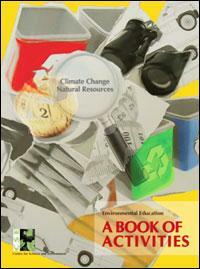 CSE’s Environment Education Unit has always been working towards providing easy-to-understand reading material. Our new publication on this subject is an attempt to lend teachers a helping hand. It unfolds in two sections: Climate Change: how to make sense of it all, & Natural Resources: how to share and care. Here, the key issues selected adhere strictly to curriculum guidelines. However, they are introduced to students not as a paragraph to memorise, but as an activity to do. Each activity sheet begins with a Curriculum Connect, a brief note to teachers that matches suggested assignments to the curriculum stream (sciences, social sciences etc.) and to the class level (primary, mid or senior). Likewise, Gobar Gyan, a succinct backgrounder, that precedes each activity set, explains to students why they are being asked to do the task. We have made a determined effort to make each of these four-page activity sheets self contained. Each activity sheet includes references to external information materials, online linkages and relevant data. Introductory price of the book is Rs 290/-. Order multiple copies of this activity book as you will need to make copies of the various activities to be given out to students as assignments.